In a town that seems to have new restaurants and bars popping up faster than arcade Whac-A-Moles, March was a relatively slow month for openings in San Francisco. Still, we're pretty excited about our new favorite place to enjoy a cocktail on a sunny day, amazing Cuban food in the Mission, a caviar tasting room we never knew we needed, and everything that's happening in the brand-new China Live building. And yeah, that's a slow month! We're always excited for a new outdoor drinking spot, especially when it comes in the form of a funky neighborhood watering hole named Anina. This island-inspired cocktail bar from the guys behind Brass Tacks is actually right next door (where Flipper's Gourmet Hamburgers used to be) to the dark and cozy Brass Tacks, but is a complete departure due to its upbeat ambience. The space is bright and airy with colorful murals on the walls, a concrete bar, and several communal tables. There are also eight picnic tables outside, but the patio will have to close early because of neighbors. Still, while the sun is up, it will be a lovely spot to share a $46 punch bowl (there are three on the menu) with friends. Not into sharing? The cocktail menu also has a good selection of aperitivos, spritzes, and full-strength cocktails, as well as a bunch of beer in the can and bottle, plus a few wines by the glass. Eventually this 30,000sqft, multi-story building is going to be home to myriad restaurants, bars, and lounges, but for now, just the first floor is open. We say "just," but there's already a lot going on in this "interactive culinary and cultural destination" that offers "an in-depth exploration of Greater Chinese gastronomy." 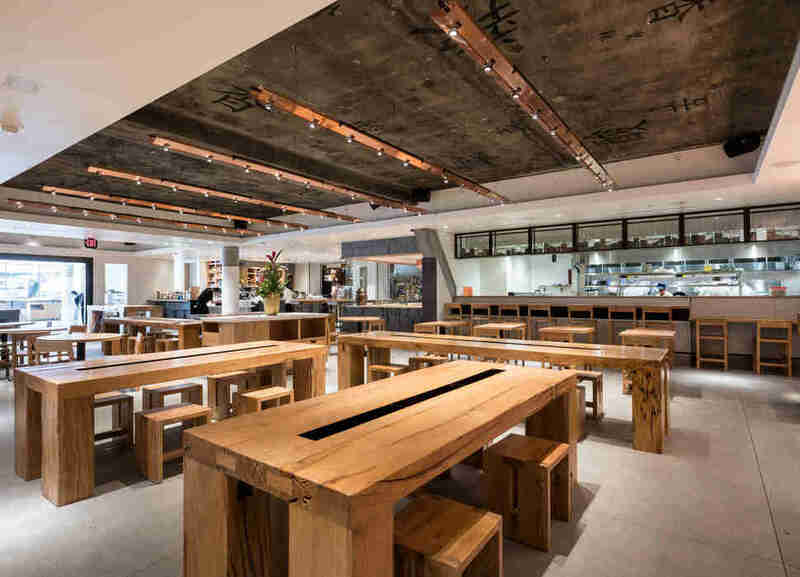 Right now, you can visit Oolong Café, a 25-seat counter-service cafe that serves grab-and-go artisanal teas and Chinese pastries, as well as Market Restaurant, a 120-seat restaurant with an open kitchen and eight specialized stations. So whether you're in the mood for dumplings and dim sum, Chinese charcuterie and barbecue, noodles and rice bowls, fresh and live seafood, or wok stir-fry (or all of the above), you're covered. Best of all, it's relatively affordable, with the check averaging about $30 a person. And lastly, if you're just in the mood for a drink, head to Bar Central, where you can get beer, wine, Malaysian-style cold-brew coffee, Marin Kombucha, and specialty cocktails. Once you're boozed up, head to Marketplace, the retail space where you can buy beautiful tableware, custom teapots, and woks, as well as tons of Chinese pantry items and even fresh produce. The Caviar Company started as an enterprise that provided tasty fish eggs to restaurants and consumers all over the country, but now there's a decadent tasting room on Union St where you can make all of your caviar dreams come true. 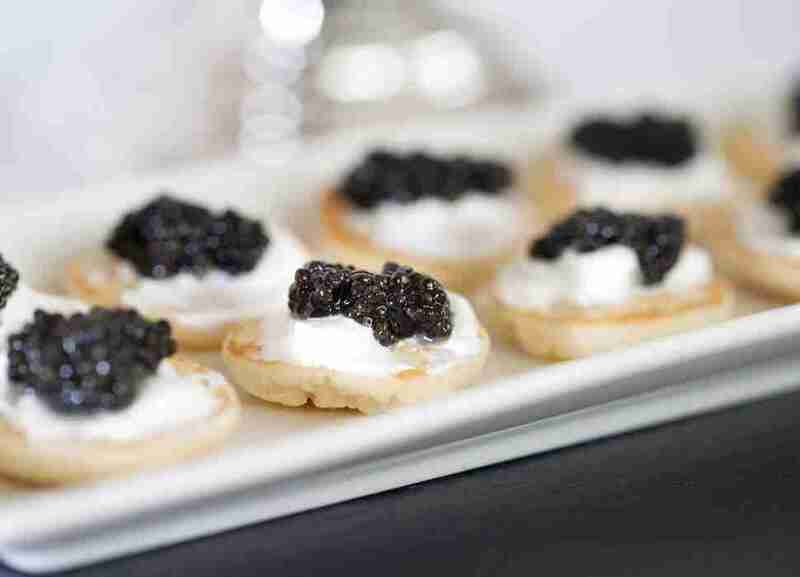 Pop in to get guidance about, and purchase, a ton of caviar (prices start at $10/ounce for trout roe and go up to $165/ounce for Imperial Golden Russian Osetra caviar, with plenty of affordable options in between). Or book a private tasting where you'll sit in a blue velvet chair at a sleek marble table. There's no liquor license yet, so it's BYOB until it gets approved. The fast-casual El Capitan serves pretty much exactly what you'd expect at a taqueria -- tacos ($4), super burritos ($9), and plates like enchiladas and fajitas -- as well as some things you wouldn't, like those aforementioned burgers. People living on the north side of San Francisco can rejoice as they no longer have to go all the way to Bernal Heights for farmstead cheeses and charcuterie, small-batch coffee, handcrafted chocolate, organic and sustainable wine, and most importantly, hard-to-find whiskey. The Epicurean Trader now has a second outpost on Union St that offers over 400 craft whiskeys, 100 mezcal brands, and tons of artisan goods in delightful packaging. 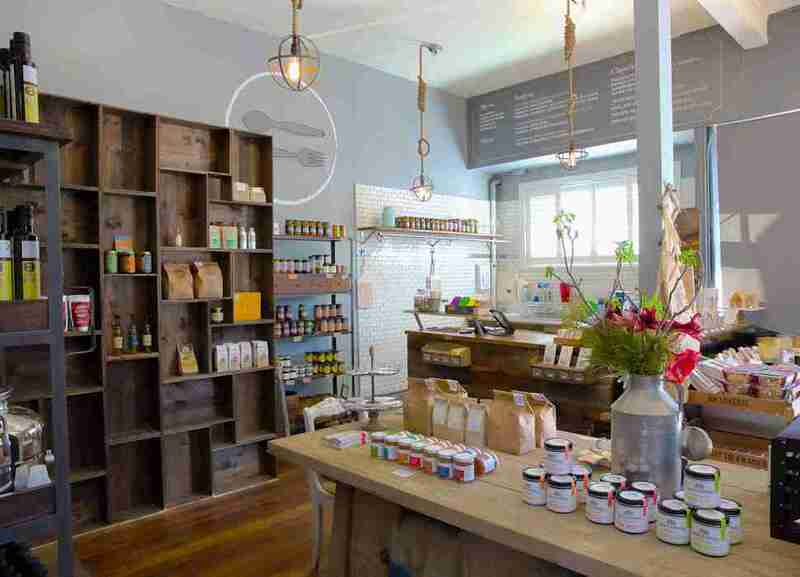 The shop also has tasty sandwiches, like a salami pickle grilled cheese with cave-aged Gruyere made on Tartine bread (you can also buy fresh loaves), as well as scoops of Humphry Slocombe ice cream and Paleo/vegan gelato. This "Starbucks for Millennials" (its words, not ours) first opened in Copenhagen in 2002 and now has over 170 locations worldwide, one of which is now in SoMa (the second one in SF). The atmosphere and offerings are much like the location on Market St -- the music is lively (read: blaring), with tons of seating and lots and lots of juice. 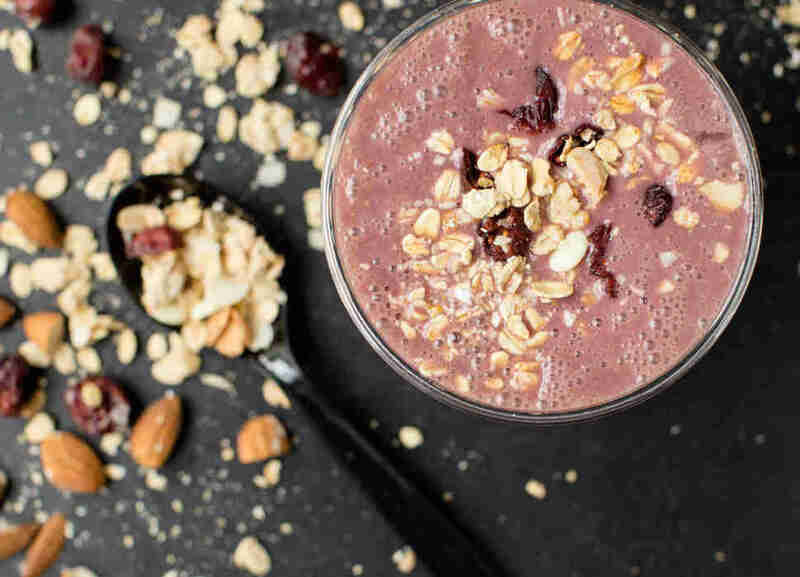 There are also healthy shakes and coffee drinks, as well as a couple of sandwich options (avocado, turkey, spicy tuna, club, etc.). It’s the perfect place for a coffee (or juice) date or a meeting… just be prepared to use your loud voice. 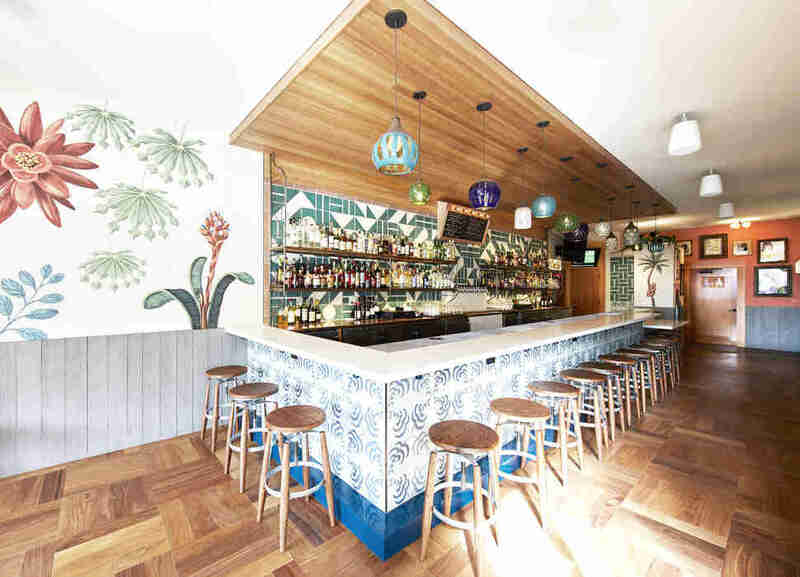 Yes, Americans can finally travel to Cuba, but if a trip out of the country isn't in your plans, head to Media Noche, the new upscale fast-casual restaurant in the Mission, for a delightful taste of Cuba. The space is fancy for a counter-service spot -- there are elaborate tile floors, wrought-iron light fixtures, tons of greenery, and the vibe is light, bright, and welcoming. The menu is short and sweet, featuring Cubano sandwiches, bowls, salads, and a handful of sides, but you're here for the Media Noche, which is described as a "Miami party sandwich." 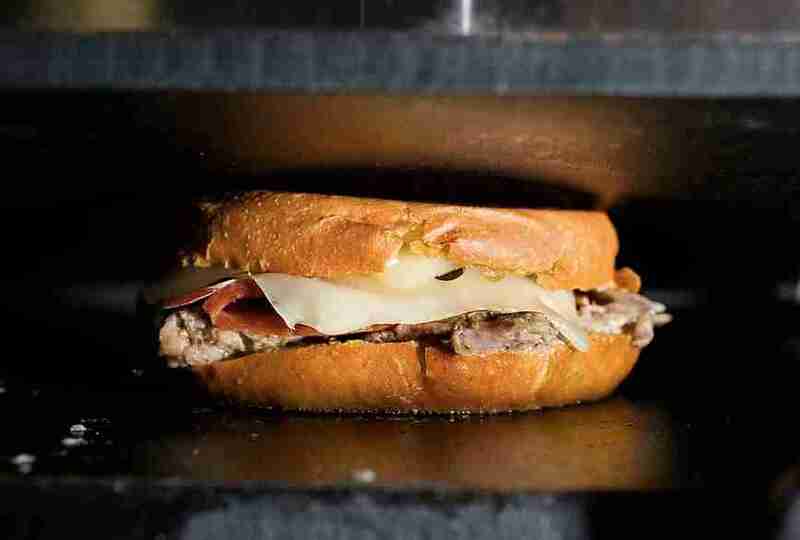 Made with roasted mojo pork shoulder, smoked ham, Swiss, house pickles, and mustard, it's similar to a Cubano, but is served on buttery brioche. Pair that with a carafe of sangria (made by the folks at Wildhawk), then finish with a Moon Bar, a fancy ice cream pop in two flavors. 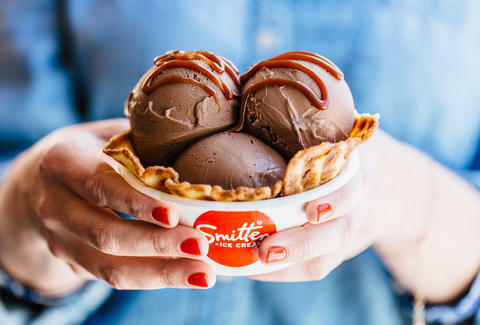 We don't totally understand the science behind Smitten's made-to-order ice cream with liquid nitrogen, but we do know that all it takes is a minute (or 90 seconds, if we're being technical) to turn a mixture of organic milk, cream, and farm-fresh fruits, veggies, or TCHO chocolate into a delicious scoop of ice cream. And whereas before you had to go to the Marina, Lower Pac Heights, or Hayes Valley to indulge in this tasty frozen treat, now you can hit up the new Valencia St location. The space features lots of restored wood and a concrete countertop intended to remind you that Smitten started out of a wagon on the sidewalk. 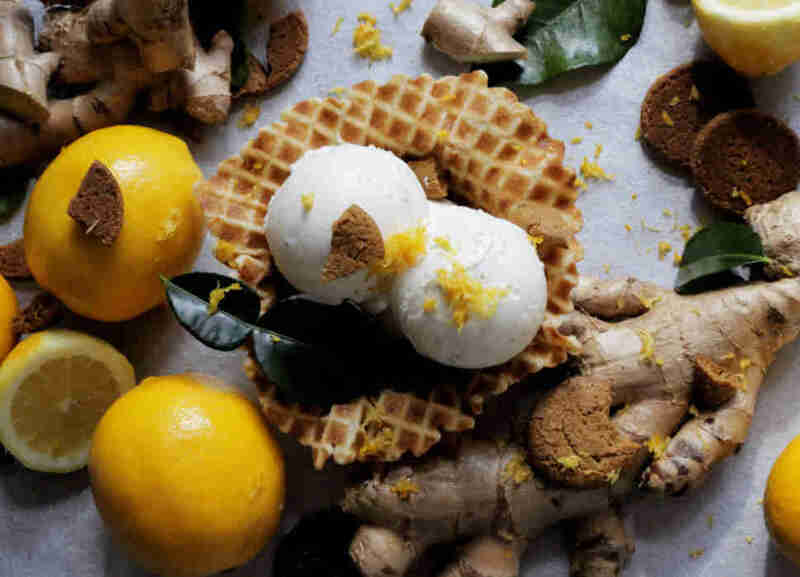 There are only six flavors available at a time, each served in a hand-rolled waffle cone. If you're in the mood for more sugar, add "pairings" like chocolate sauce, pieces of homemade cookie dough, and brown sugar caramel. Daisy Barringer is a freelance writer who thinks sometimes vanilla ice cream is the best flavor of all. Tell her which flavor of ice cream you scream for on Twitter @daisy.